This post contains affiliate links and I will be compensated if you make a purchase after clicking on those links. If you or your child have long hair, you've likely had your share of fights with tangled hair after a bath. My daughter has gorgeous red hair and I absolutely refuse to cut it short. When hair is the rich red color of her hair, you keep it long for the world to enjoy no matter the cost, am I right?!?! After many battles and a few tears over tangled hair, I searched to find the best solution and I believe I have found it!!!! 1.) Start combing/brushing at the bottom of the hair. I've done this my entire life with my own hair and always brush my daughter's hair this way. In an attempt to not jerk her head with each stroke of the hair brush, I start by making small downward brushing movements from the bottom of her hair and work my way up. 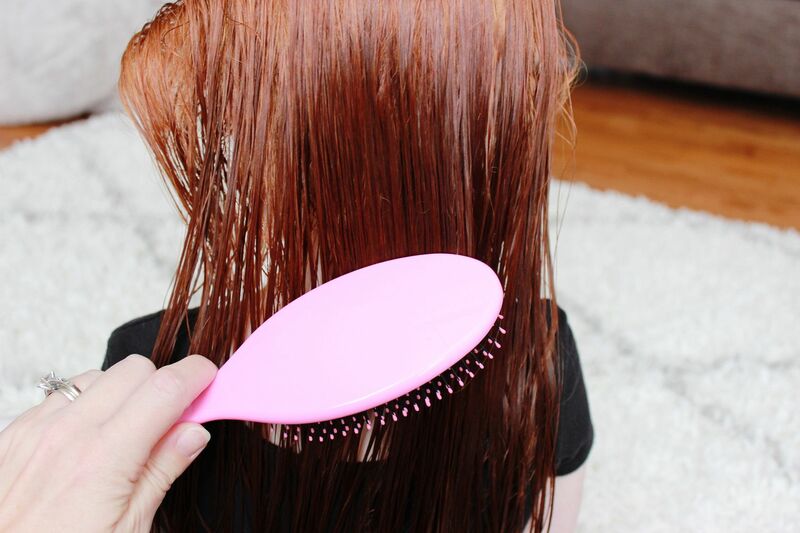 This method does take a bit of patience to work through all of the tangles, but it is a much more gentle way to comb or brush through all of the tangles. It also makes it easier on those sensitive heads. 2.) Spray a leave-in conditioner all over the hair. I remember spraying a leave-in conditioner on my own hair after swim lessons and that is actually when I started using a leave-in conditioner with Kendall. Usually after swim lessons, we were in such a rush I didn't have time to be patient and take my time with her tangles. 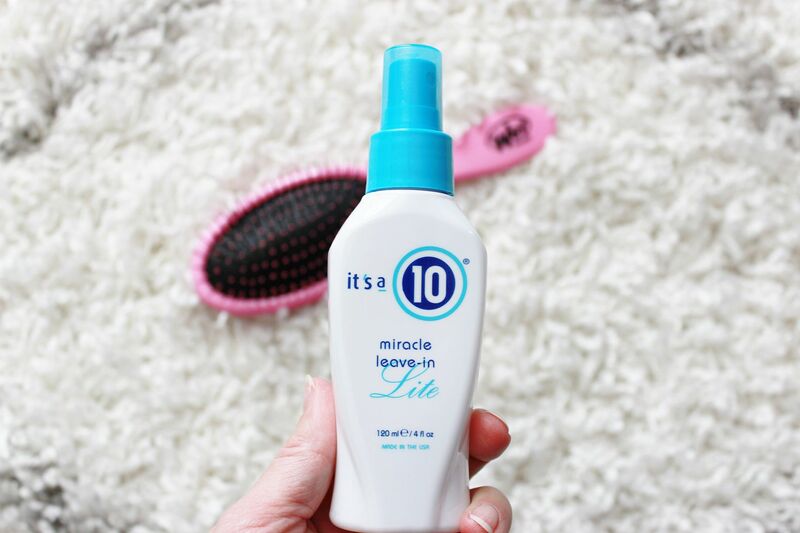 I prefer the It's a 10 Miracle Leave-in Lite because it doesn't weigh the hair down and still offers repair, restoration, detangling and de-frizzing help to your hair. The conditioner makes the hair slick, allowing the brush or comb to easily slide through the hair. I always employ tip #1 even when using a leave-in conditioner. 3.) Buy a Wet Brush. 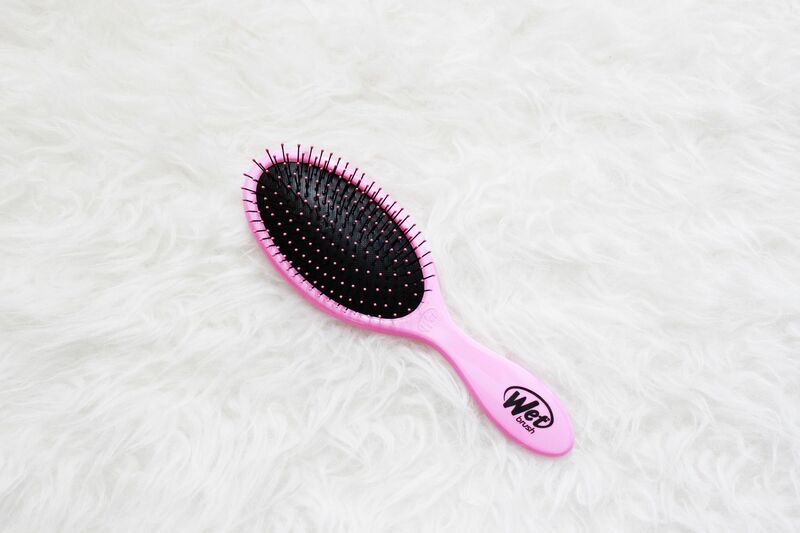 This brush is literally all you need to deal with tangles! 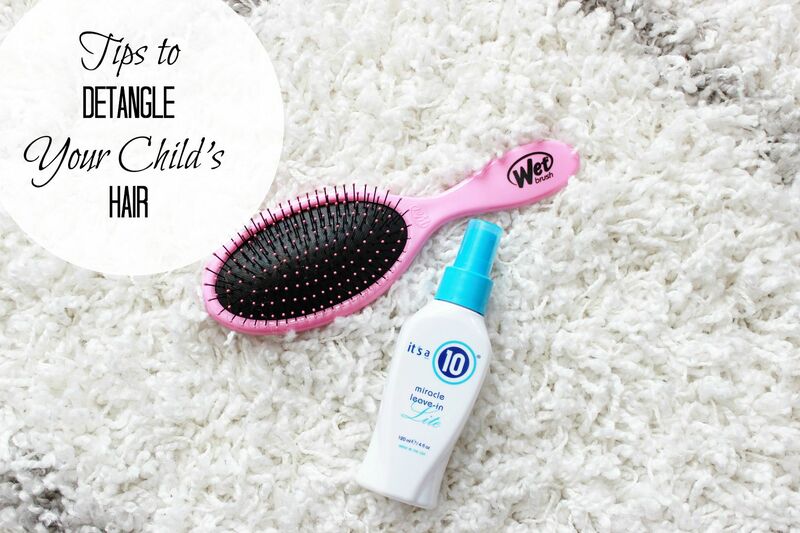 It easily glides through tangled/messy hair in seconds and with very little effort. 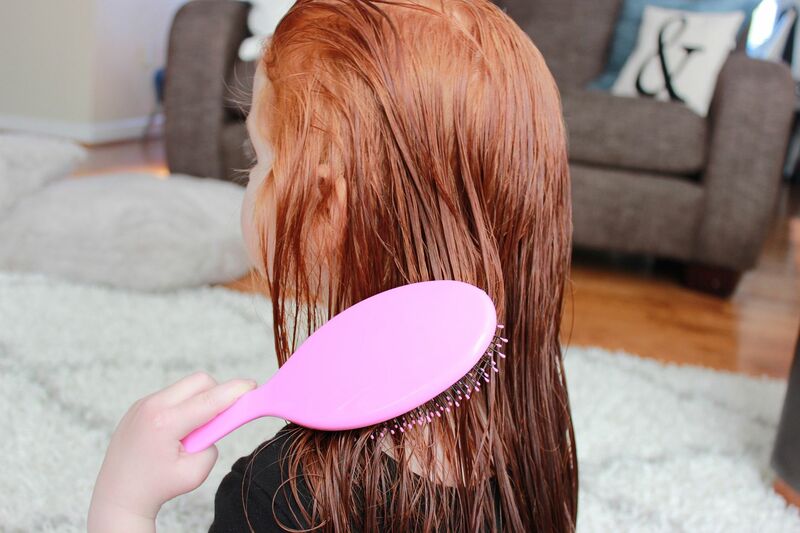 Using this brush has cut down on the hair brushing battles and even saved us time after the bath. 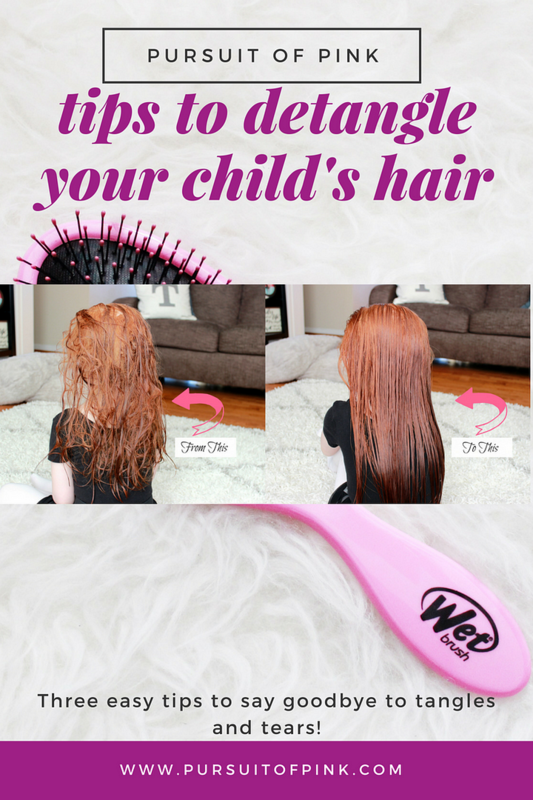 The brush also works great on tangles with dry hair and it provides a smoothing effect when styling. Do yourself and your child a favor and just buy this. You will love it! What great tips I have had short hair most of my life but I had daughters with long hair and remember the battles of brush their hair. I brought the wet brush before my daughter was born. I will definitely try these tips! My 9 year old looks like Anna from Frozen every single morning. I'm going to buy a wet brush and try your tips. My hair is a disaster lol, especially trying to get all the tangles out. My daughter always had long hair and we always had to use products like this to keep the tangles from taking over!